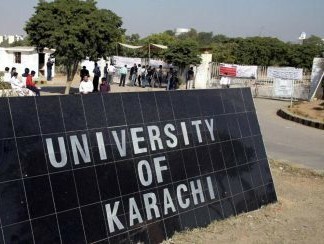 Karachi: An inquiry committee formed to probe the manhandling of three media personnel while covering a protest at the University of Karachi (KU) against the high-handedness of Islami Jamiat-e-Talaba (IJT) last week, failed to submit its report due on Friday, November 6, because journalists did not cooperate with it, The News learnt. Since the committee was formed four days ago, it hasn’t even held a single meeting. The committee had been formed when three media personnel were manhandled by the security guards of Karachi University after they allegedly cursed at an official of the administration last Monday when the students and student wings of political parties had organised a protest against the actions of IJT activists who had beaten up the participants of a mix-gender cricket match, in which several girls had also received injuries on October 28. 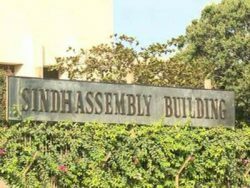 The inquiry committee had been set up after journalists staged a protest at the office of Karachi University’s vice chancellor and had been asked to submit its report within three days. Dr Shahid Naseem of the geology department had been appointed as the committee’s convener, while Dr Shakeel Ahmed Khan of the microbiology department and the commerce department’s chairman, Dr Tahir Ali, were appointed as members. Talking to The News, Dr Naseem said all three members had invited media persons to come forward and inform the committee about what had happened that day. However, he claimed, despite repeated calls and emails nobody during the past week, nobody had bothered to appear before the committee. “There were two persons who were supposed to come and share information and their concerns with us so that concrete action could be taken against the accused. Both journalists are affiliated with different media groups,” he said. According to Dr Naseem, the committee needs eye-witness accounts and proof to complete its investigation. “Since no one came forward, the larger committee set up to probe the actual incident of thrashing girls and boys playing cricket together, will be so informed on Monday,” he said. Dr Naseem is also a member of the five-member committee set up to investigate the alleged thrashing of the participants of a mix-gender cricket match by IJT activists last week. This committee is headed by the chairperson of psychology department, Anila Amber Malik, and comprising varsity’s student adviser Prof Dr Syed Ansar Rizvi, security advisor Dr Muhammad Zubair, Dr Shahid Naseem of geology department senior medical officer Dr Nadeem Shaikh-uz-Zaman as members. Its first meeting has been scheduled for 10am on Monday. Student adviser Dr Ansar Rizvi told The News he had received a written complaint about the incident on behalf of the students. However, it said, the students had refrained from mentioning their identities in the application since it bore no signature. What was strange, however, was the student adviser’s complete oblivion that he was part of the inquiry committee. “When I heard about it, I went to the registrar’s office and asked them about it. It was then I was handed a letter stating that my presence was required as a member of the inquiry committee,” he said. On the evening of October 28, activists of the Islami Jamiat-e-Talaba (IJT) allegedly thrashed a group of students who had been playing cricket while waiting for their point to take them to Gulshan-e-Hadeed. The KU administration learnt of the incident when an injured boy showed up at the university clinic where he informed the security incharge and student adviser that girls had also received injuries. Rangers later held four IJT activists but allowed them to go home after a couple of hours on the call of university administration. However, the IJT had rejected the claims that any girl students had been beaten up. Its information secretary Sajid Khan demanded that girls making this claim should come forward and point out the activists who had physically abused them. The matter was taken up by students of the university and other student wings of political parties, especially the All Pakistan Muttahida Students’ Organisation which also staged a protest demonstration outside the Karachi Press Club the day after the incident. The Imamia Students Organisation and the Punjabi Students’ Association also threw their weight behind them. The IJT had followed with its own counter press conference about the incident. After the weekend, on Monday, November 2, girl students had organised a cricket match to declare their defiance of IJT’s high-handedness but it was called off after at least three media personnel were manhandled by the university’s security guards when one of them supposedly misbehaved with an administration official. The media teams had been held at the office of KU vice chancellor for at least three hours before they were allowed to return. The media personnel had registered their protest with the vice chancellor Prof Dr Mohammad Qaiser upon which he had constituted another inquiry committee and directed it to submit its report within the next three days, on November 6.